These days when you think of office furniture, you might imagine sterile desks and bland function-over-form task chairs. 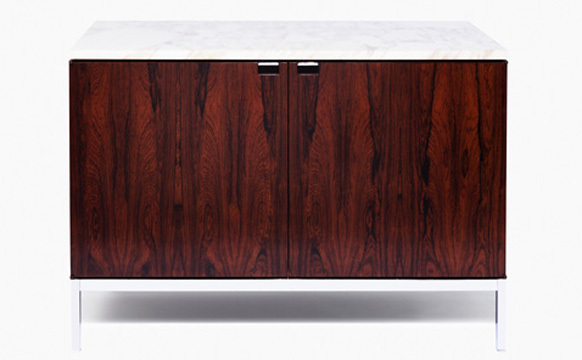 But when it comes to Florence Knoll, office furniture has a good name. 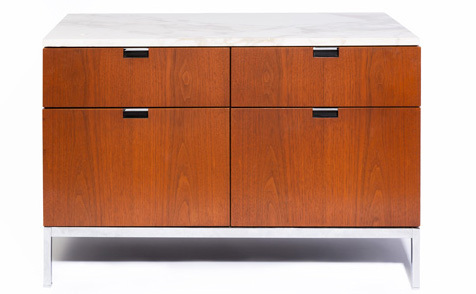 Known for creating the kind of mid-century pieces you might now find on the set of Mad Men to recreate an era when workplace decor meant rosewood and marble credenzas, tufted leather benches and chic glass and chrome tables, her sleek pieces are a cut above. In fact, they’re so stylish, timeless and well made, that originals are still highly coveted, licensed versions are still produced, and of course, they’re widely replicated. 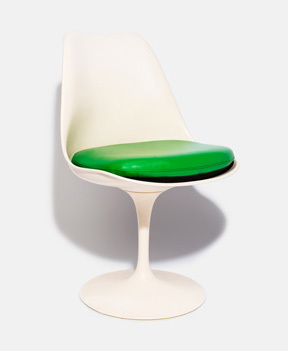 Knoll wasn’t just a designer herself. Through Knoll Associates, she collaborated with other influential mid-century designers she knew from her time at Cranbrook and the Illinois Institute of Technology to produce their iconic pieces — designs like Harry Bertoia’s wire chairs, Mies Van Der Rohe’s Barcelona chair and Eero Saarinen’s Pedestal table and chairs (aka Tulip chairs). As respect for Knoll’s design empire grew, so did the professionalization of the interior design industry and women’s place in it. 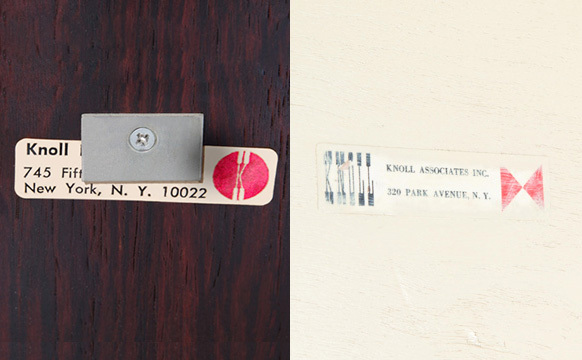 “Knoll today is still one of the most important furniture manufacturers. 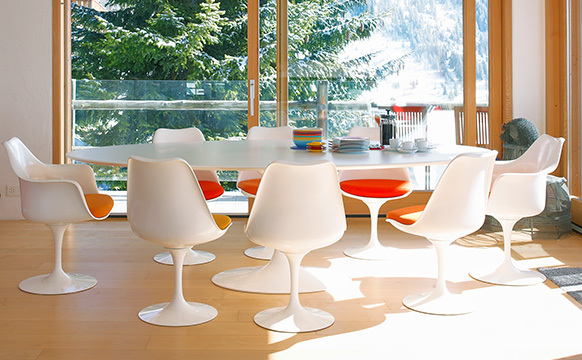 They’re still producing the most iconic designs even though Florence Knoll is no longer around. 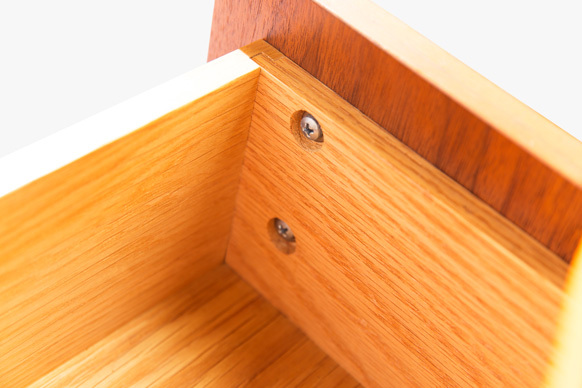 There are a lot of other manufacturers who are trying to create things that look like Knoll, and that they even call Knoll, but pieces actually produced by Knoll are the standard. Everyone else is just trying to knock them off.” With this in mind, we asked Gersh for her expert advice on how to tell authentic Knoll from replica pieces. Read on for her tips. Invest in your own iconic Knoll piece. Shop our fully authenticated collection here.